Five sided cubes constructed of 1/8" acrylic. 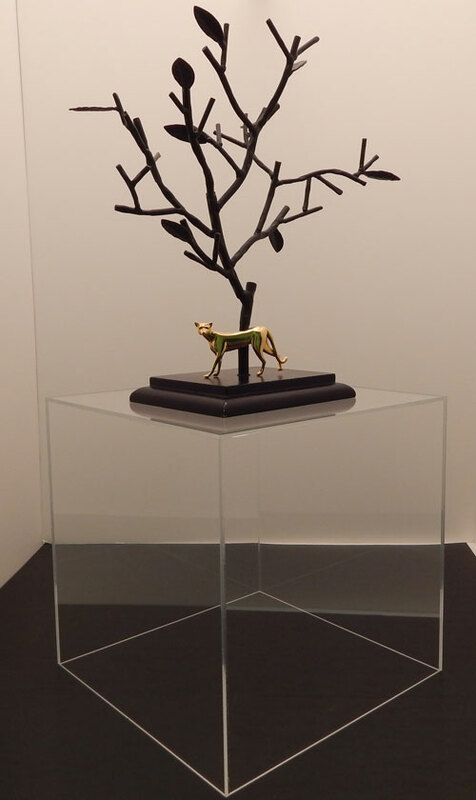 You can use this acrylic display box to protect your collectibles or as a riser. 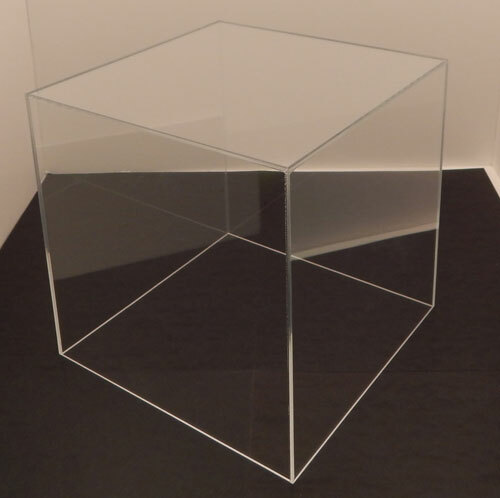 Acrylic cubes keep your collectibles or merchandise safe from dust and damage. Available in a wide range of sizes. You can use these cubes to keep your collectibles safe from the elements or as a platform to raise them up. Acylic cubes bring a sleek and clean design element to a space while also serving a functional purpose. The clear construction allows your customers to easily view the items on display. Choose from the size options below. 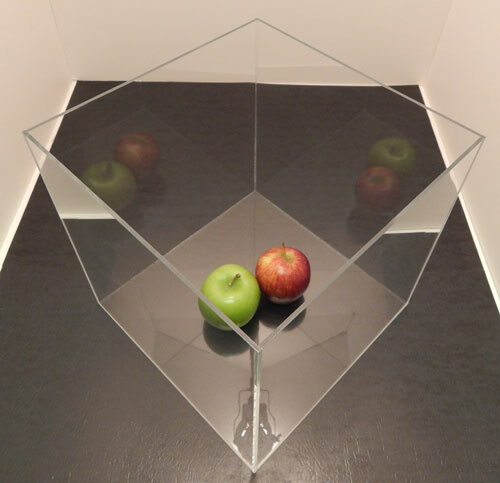 If you have questions about our acrylic cubes, please give us a call. 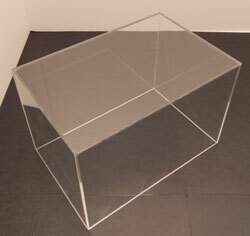 Five-sided, tall acrylic box. Use these to protect collectibles and memorabilia from dust and damage. Ideal for dolls and vases. 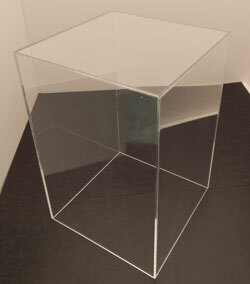 Tall acrylic boxes are available in 4 sizes. 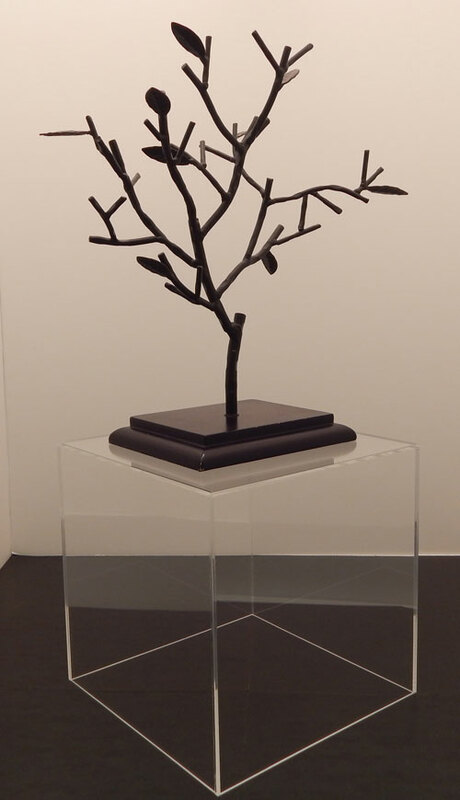 This is a 5 sided wide display box, available in 4 sizes. Clear acrylic boxes are ideal for displaying valuable keepsakes such as footballs or models without the worry of damage or dust.